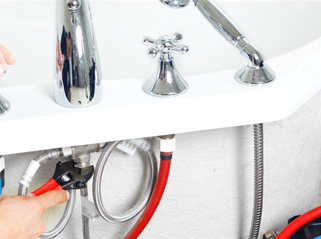 We are a plumbing and home service company that are always prepared to answer customer questions. A question that seems to come up all the time is pertaining to water heaters. Customers would like to know if they should opt for water heater repair or water heater replacement. Often, this is a difficult decision for the customer to make. Of course, most of the customers would prefer a quick repair because it cost less. Making the wrong decision could end up costing them more than just a repair or replacement. Here are clues that the customer probably requires a water heater replacement instead of a Water Heater Repair in Queen Creek, AZ. First, take a look at your water heater. When was it installed? Was it about the time your teen son was born? Well, it is definitely time to for water heater replacement instead of water heater repair. On average, water heaters have a life span of less than 10 years. The hot water test is another clue that your water heater requires replacement. Run the hot water. Is the water clear or rusty? Rusty water is a sign that the tank is corroded and needs replacing. Some customers discover that their water heater is leaking. They assume that it is repairable. Under most circumstances, the water heater is gone. It requires complete replacement. Perhaps, you've turned on, your faucet and let the water run for a minute or so. You notice that the water is still cold or only slightly warm. Certainly, this is a key example of a water heater that has seen its best days. We suggest to customers that they have their water heater replacement take place immediately. In addition, they should have an annual Water Heater Repair in Queen Creek, AZ to keep the water heater running efficiently.